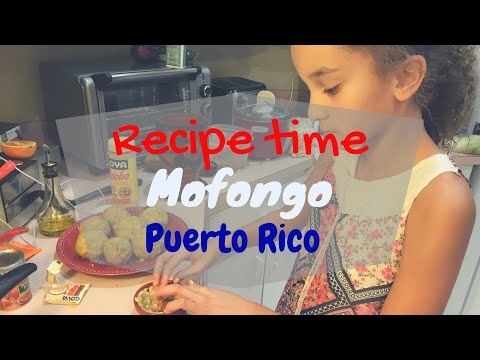 How To Make Authentic Puerto Rican Mofongo....! Hi and welcome to my channel. 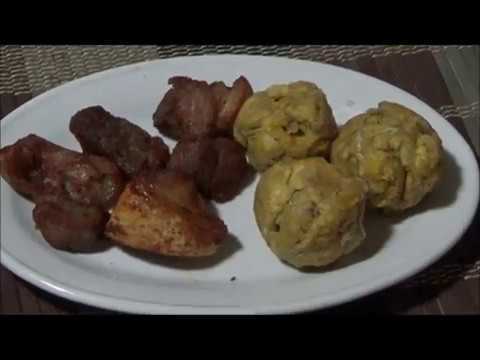 This part of the series of Authentic Puerto RIcan cooking.Today I made mofongo. With only a few ingredients, you have a yummy dish! It can be filled with seafood or meat and be a complete meal, or it can served as a side dish. Like, comment and SUBSCRIBE. Buen Provecho! You can follow me on Facebook https://www.facebook.com/SweetsandBeyond or Instagram http://instagram.com/sweetsandbeyondfl ****Mailing Address**** P.O Box 721534 Orlando, FL 32872-1534 Produced by Sweetsandbeyond ©2013 all rights reserved All embeds must live link to Sweets and Beyond's channel. No Editorial Excerpts without permission, Violators agree to pay $5,000 per second + $10 per view + all collections & lawyers fees. 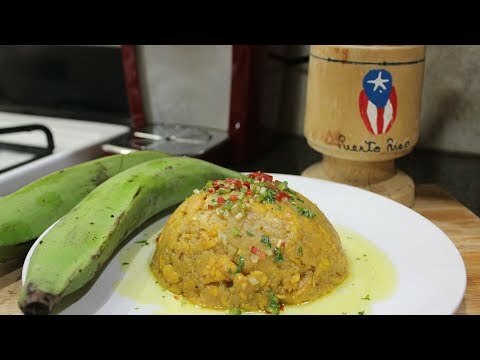 "How to" video on making the delicious Puerto Rican dish Mofongo. 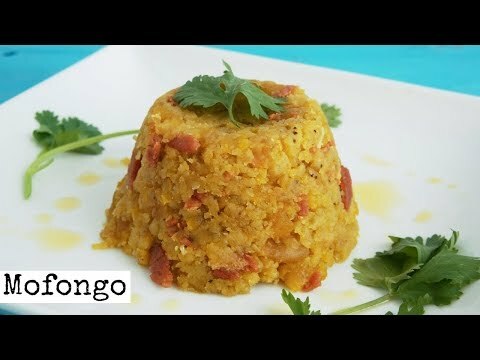 Mofongo is an Afro- Puerto Rican dish with fried plantains as its main ingredient. 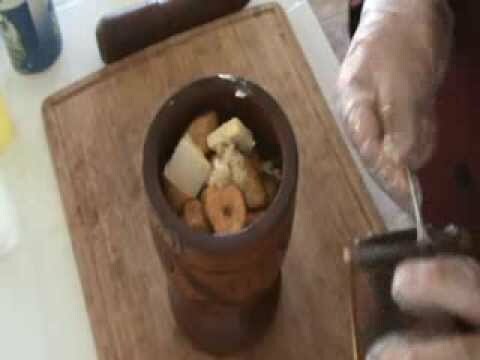 Plantains are picked green and mashed with salt and water in a wooden pilón, a kitchen device also known as mortar and pestle. 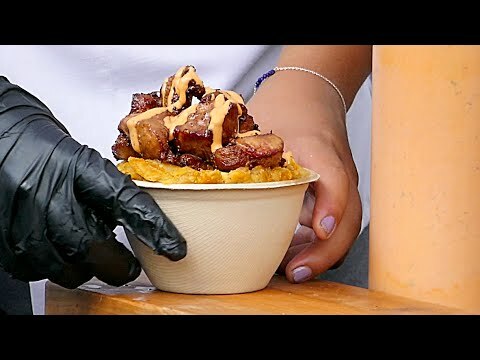 The object is to produce a tight ball of mashed plantains that would absorb the attending condiments and have either pork cracklings (Chicharrón) or bits of bacon inside. Most dressings and mixtures include broth, garlic, and olive oil. It is traditionally served with fried meat and chicken broth soup. Particular flavors result from variations that include vegetables, chicken, shrimp, beef, or octopus packed inside or around the plantain orb. 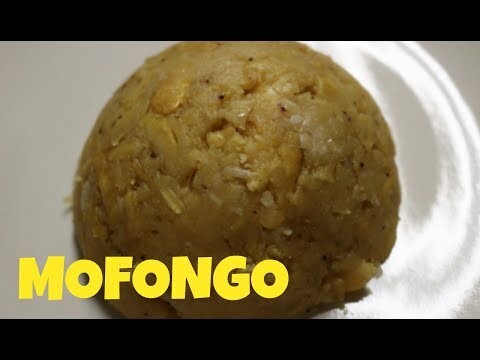 Mofongo evolved from fufu using African method with Spanish and Taíno ingredients. Plantains are most often used, but other starchy roots native to the island used by Taínos can also be used. Puerto Ricans have an obsession with fried food known collectively as cuchifrito in New York City and Kiosks in Puerto Rico. The usage of Spanish ingredients such as pork, garlic, broth, and olive oil together is heavily used in Puerto Rican cuisine. 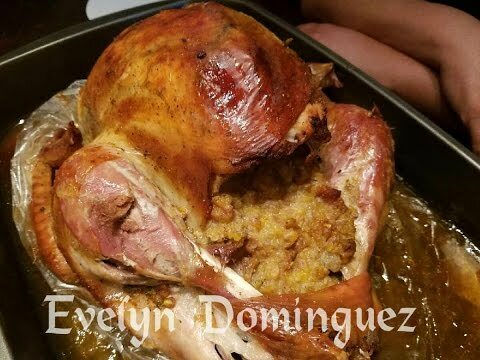 Staple dishes such as arroz con gandules, alcapurria, pasteles, habichuelas, recaíto, arroz junto and many other dishes all include garlic, pork, olive oil, and broth. The method of frying comes from the African side and is heavily used more than anyplace in the Caribbean. Broth is often made with chicken and sofrito. Sofrito is made with Spanish and Taíno fruits, vegetables, and herbs. 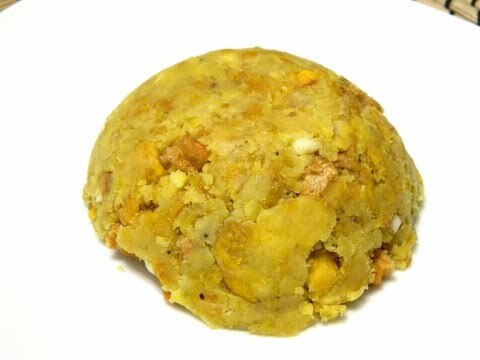 In Cuba, Mofongo is called Machuquillo "por la acción de machucar el plátano en el mortero" (because of the task of mashing the plantains in the mortar). The plantains are not fried but boiled. Machuquillo is often garnished with parsley and served with roasted pork or chicken. During the 1960s many Dominicans who feared the dictatorship of Rafael Trujillo fled to Puerto Rico and New York City. 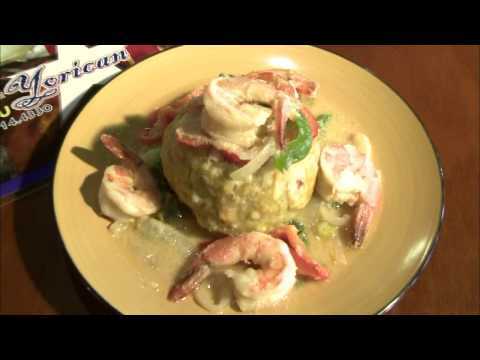 Mofongo caught on quickly with Dominicans living in Puerto Rico and New York City. 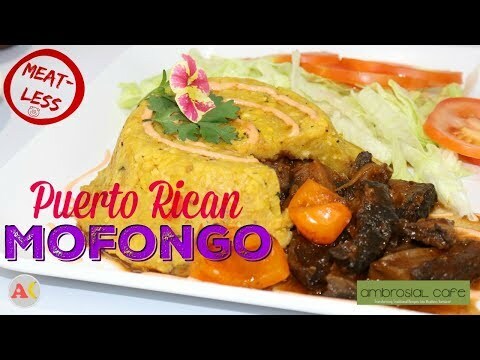 Mofongo has become a flagship food for many Dominican restaurant adding their own flavors such as queso frito (fried cheese) to mofongo, mashed with no broth and sometimes olive oil is replace with butter. The plantains in making traditional mofongo are not always fried, they are sometimes boiled, shaped into a ball and stuffed with meat. 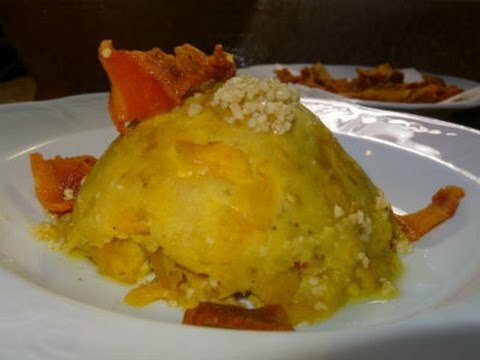 During the 1960s mofongo started to appear in Dominican cookbook's. 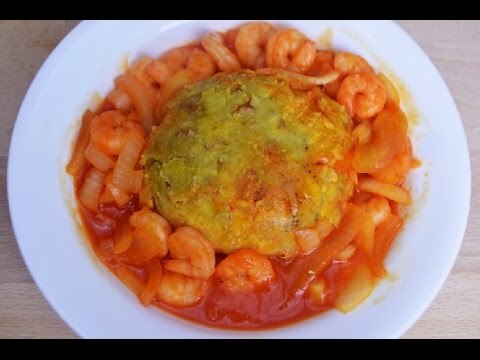 Mofongo stuffed with shrimp (camaron in Spanish) is called camarofongo. We're in Restaurante Raices in San Juan, Puerto Rico, learning how to make traditional Mofongo from the professionals. 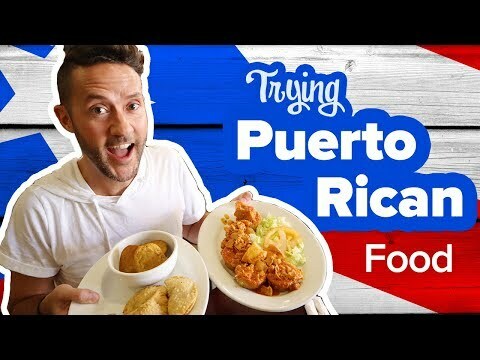 During my trip to San Juan, Puerto Rico in Partnership with the Intercontinental San Juan, I decided to head out to Piñones to try some tropical authentic Puerto Rican Street Food! Subscribe & Click the Bell for 2+ Videos Per Week ► http://bit.ly/DBH-SUB My Film Making Kit► https://kit.com/davidsbeenhere I arrived in San Juan, Puerto Rico early in the morning and headed straight to the Intercontinental San Juan to check in and to show you my club level suite. My suite is huge! From their I grabbed a quick 15 minute uber ride east to Piñones. This area has one road and their are tons of restaurants and kioskos (traditional huts) where they serve authentic Puerto Rican street food. My first stop was at Donde Olga Bar & Restaurant to try a Bacalaito which is a salted cod pancake fritter and a Alcapurria which is fried green banana stuffed with crab or beef. 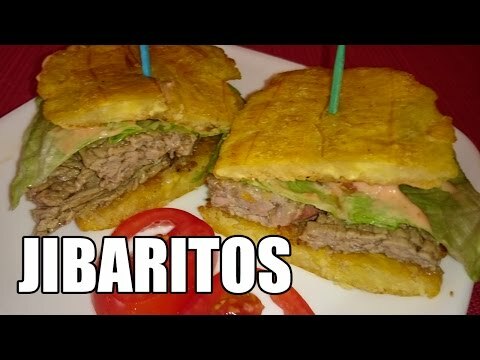 Both of these Puerto Rican street foods are must tries when you visit Puerto Rico! Next we walked over to El Barriles Restaurant to try some Mofongo with Seafood! 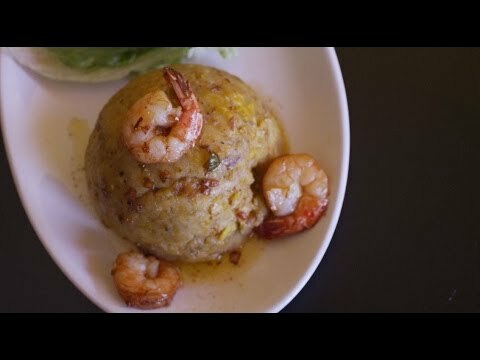 Mofongo is fried plantain mash with seafood. 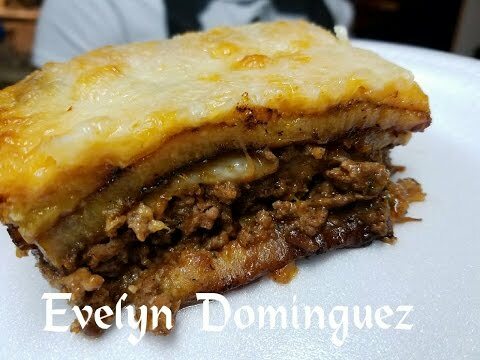 This is the star of Puerto Rican street food dishes. It is so yummy mixed in with the seafood! On our way to our next stop I stumbled on Ostiones Vivos Kiosko. This is a small hut serving local Puerto Rican ostras or oysters! They are small bite sized oysters but if you like oysters you will love them! 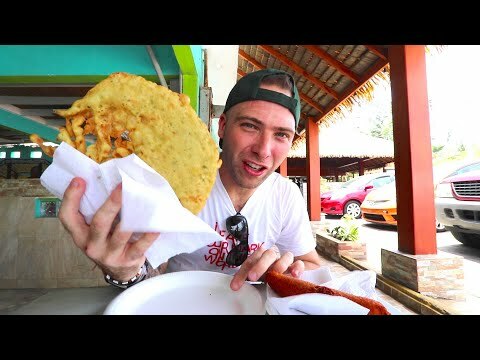 Our final stop is Sabores de Piñones where I tried two local specialities, Pionono is a stuffed fried plantain stuffed with beef and a Rellenos de Papa which is a fried mash potato stuffed with ground beef. I think the Pionono was my favorite because it was so sweet but the Bacalaito and Mofogo were off the chain! Big thanks to my friends at the Intercontinental San Juan: http://www.icsanjuan.com/ I hope you all loved this video, if you did, please give me a thumbs up, leave me a comment below and subscribe to my channel! ☆ CONTACT ☆ ► Business: david@godandbeauty.com _____ BLOG ►http://davidsbeenhere.com/ _____ BOOK YOUR NEXT ADVENTURE: ►http://app.trilltravel.co/u/davidsbeenhere _____ FOLLOW ME: + INSTAGRAM ►https://instagram.com/davidsbeenhere + FACEBOOK ►https://www.facebook.com/davidsbeenhere1 + TWITTER ► https://twitter.com/davidsbeenhere _____ SEND ME STUFF: 5858 SW 81 ST Miami, FL 33143 USA _____ P.S. Thank you for watching my videos and subscribing! 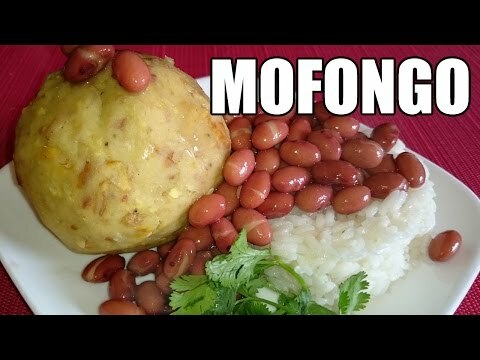 A description of Mofongo. 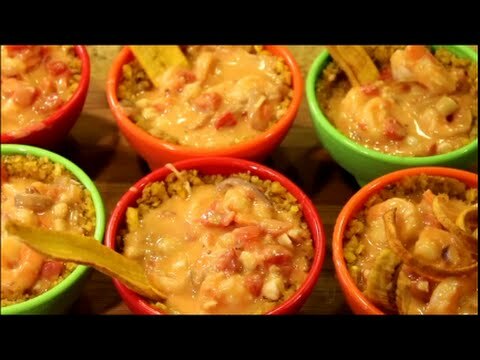 A plantain based dish from Puerto Rico. 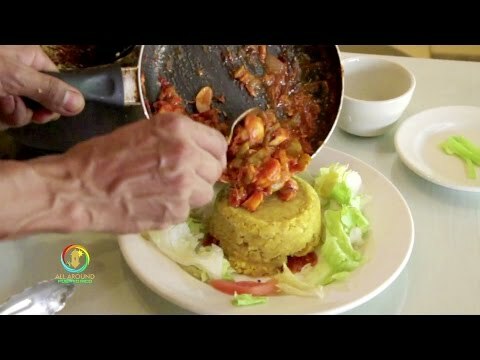 All Around Puerto Rico visited one of the best restaurants in the town of Río Grande: Antojitos Puertorriqueños and they showed us step-by-step how to make the perfect Mofongo Relleno. Hi and welcome back! 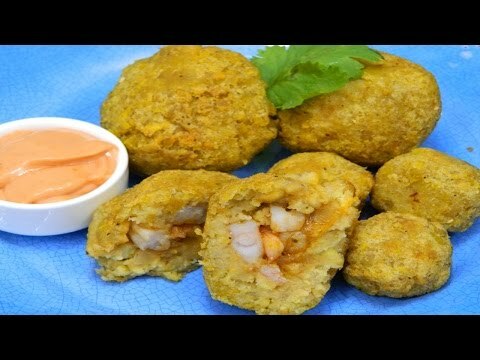 Today I made for you my version of Puerto Rican Mofongo balls stuffed with Shrimp Buen Provecho! Click here to purchase my cookbook! http://sweetsandbeyond.net/ Subscribe to my channel! It's free and you will never miss an episode! Click here to subscribe: https://www.youtube.com/user/sweetsandbeyond?sub_confirmation=1 You can follow me on Facebook https://www.facebook.com/SweetsandBeyond or Instagram http://instagram.com/sweetsandbeyondfl ****Mailing Address**** P.O Box 721534 Orlando, FL 32872-1534 Produced by Sweetsandbeyond ©2016 All rights reserved. All embeds must live link to Sweets and Beyond's channel. No Editorial Excerpts without permission, Violators agree to pay $5,000 per second + $10 per view + all collections & lawyers fees. 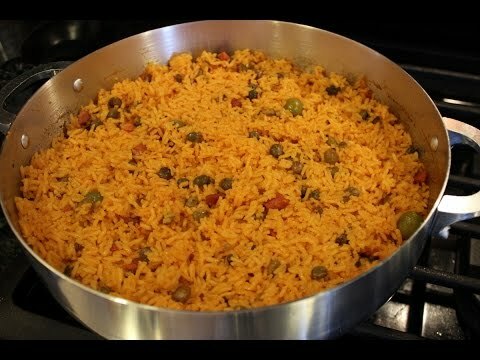 Simple dish traditional from Puerto Rico. Mofongo which is made out of green plantains. I recommend tiger shrimp, usually you can find it in the Asian market. If you live in Las Vegas NV, Food for less has all the ingredients that I mention. Hope you guys like the video and I'm very sorry if there's any mistakes. Its my first video so I was little nerves thank you for watching. Almost 1 million Puerto Ricans live in Florida. And to find the largest borícua community in the state, just follow the aroma of mofongo, one of the island's signature dishes, to Orlando. Mofongo is a signature Puerto Rican dish that starts with a mash of fried green plantains. It contains a combinations of seafood, meat, or vegetables. El New Yorican Puerto Rican Restaurant offers authentic Puerto Rican food in the heart of Phoenix. 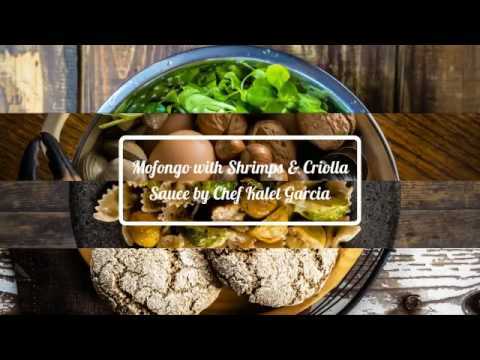 Watch as chef Haydee Sanchez gives a quick tutorial on how to make mofongo, a traditional Puerto Rican dish. 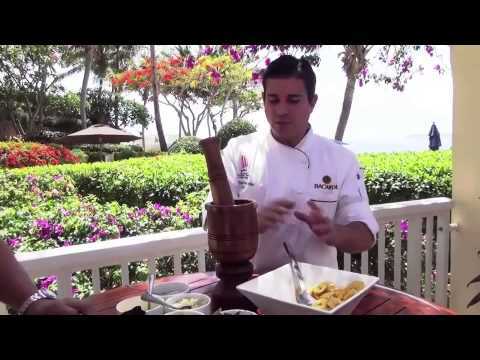 Chef Julio, The Caribbean Chef, does it again with this Puerto Rican Favorite, Mofongo. 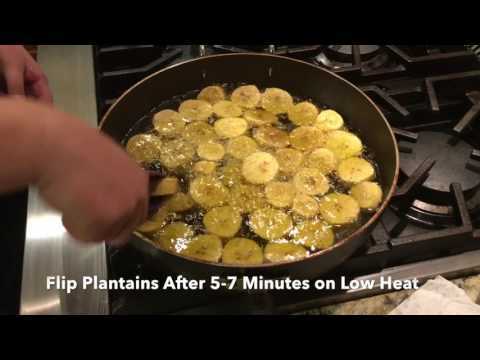 A plantain (plátono( based recipe that will get your appetite going. 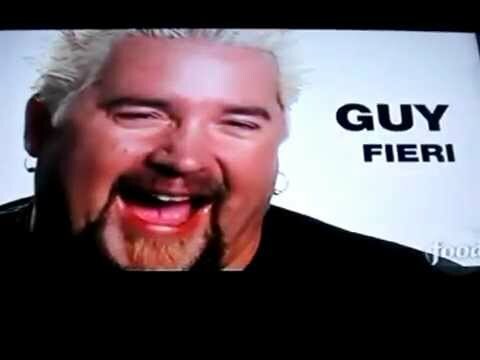 Hello My Fellow Youtuber Foodies!! Welcome back!!! Episode 17 Of the first season! How exciting! 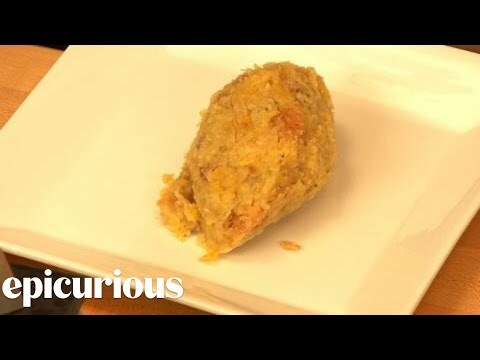 This week we made Mofongo! 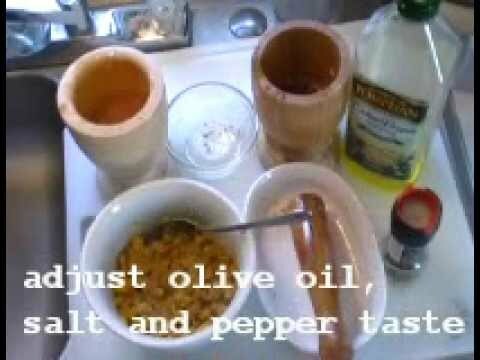 Subscribe to get my weekly cooking Episodes: https://www.youtube.com/c/AmbrosialCafe?sub_confirmation=1 Ingredients from the video: Sofrito: https://youtu.be/cxxSi0o0kLs Appliances from the video: Large Bamboo Pilon: https://goo.gl/NTyE5K Ninja Express Chop Food Chopper, Grey: https://goo.gl/5M8hM9 Don't forget to hit Subscribe & Follow me on all my social media accounts for the latest updates!! Instagram: https://www.instagram.com/ambrosialcafe/ Website: https://ambrosialpublishin.wixsite.com/mvbc Pinterest: https://www.pinterest.com/AmbrosialCafeMyVegetarianVlog/pins/ Cameras and Gear Used to Shoot This Video Nikon D3300: https://goo.gl/sGxfF1 Canon EOS Rebel SL2 (body only): https://goo.gl/kS3Tx1 Soft box Photography Lighting Kit: https://goo.gl/EddPwT DISCLAIMER: This video and description contains affiliate links, which means that if you click on one of the product links, I’ll receive a small commission. This helps support the channel and allows us to continue to make videos like this. Thank you for the support! 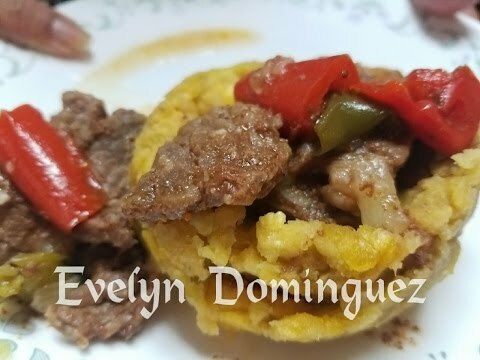 A staple of Puerto Rico, this fried plaintain mash can be served with a simple salad or rice and beans.This is a simple and delicious recipe. Today, we are making it with fried eggs for breakfast. 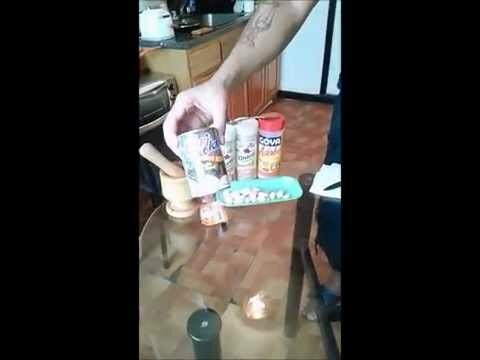 Here's how to make Mofongo in one complete 8 minute video. 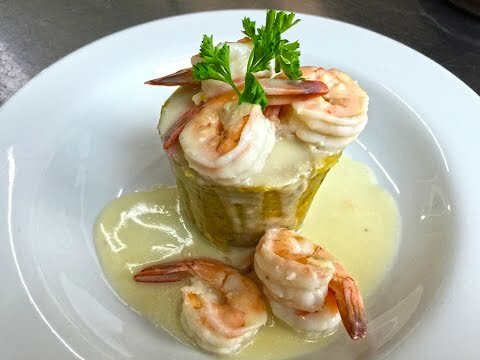 Mofongo is a Puerto Rican dish that is also found throughout Latin America in several versions. 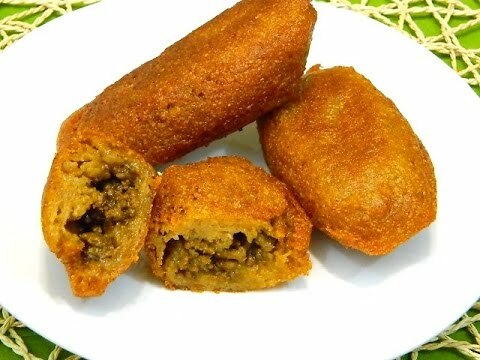 It's made by frying green plantain then mashing and forming it into a ball-like shape. The plantain mash is mixed with a paste you make to contain garlic, olive oil, salt, and crispy bits of salt pork or bacon. Making the paste is easy; some recipes include chopped cilantro but I have never seen it used in Puerto Rico. Having said all that, let's make Mofongo and you decide how to vary it. INGREDIENTS: 2 very green plantains - 1 ½ cups beef broth - 4 garlic cloves, minced - 1 oz. salt pork, diced - 1 Tbsp. salt - 2 Tbsp. olive oil - ½ tsp. pepper - 2 Tbsp. fresh chopped cilantro or fresh chopped parsley (optional). METHOD: Start with green plantains. Make sure there is no sign of yellowing. Peel and cut into ½ inch thick wedges. Soak in beef broth along with one ounce of salt pork strips for one hour. Dry plantains and salt pork with paper towels. Deep-fry the plantains until golden but not crunchy. Drain on paper towels. Also fry the diced salt pork over high heat until crisp. This is known as "chicharron" or "pork crackling". Use a "Pilon" (a wooden Mortar & Pestle) or a potato masher to mash the plantains. Also mash the minced garlic, wetted in olive oil, using the Mortar & Pestle too to form a paste that will be later blended into the mashed plantains. Crush together all the plantain, salt pork, garlic, and chopped cilantro (optional) with plenty of olive oil and salt. Shape into a ball or mound on a bed of lettuce using a small plate or served alongside pork, steak, or chicken. It is also formed into 2 inch balls and served alongside shrimp. Note: In the Dominican Republic, the dish is called "Mangu", but the plantain is boiled instead of deep-fried. There is another variation there that is called "FuFu" and I remember it as a child but I think it was eaten for breakfast with eggs. All in all, I plan to show you about twenty ways to cook plantains, all completely different! 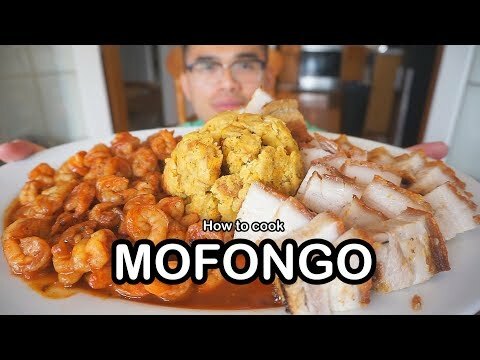 This is a video tutorial which takes you through a step by step process of making Mofongo... as an added bonus i've included how to make pork chops in Coconut gravy.. which is an original Recipe created by me... I guarantee you're going to love the end result.. I am a certified chef with many years of experience in the kitchen yet everything was done with minimal kitchen accessories to please the general public. Hi and welcome back! 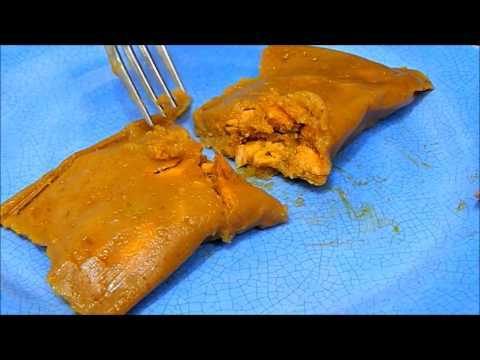 Today I made for you my version of Puerto RIcan pasteles! 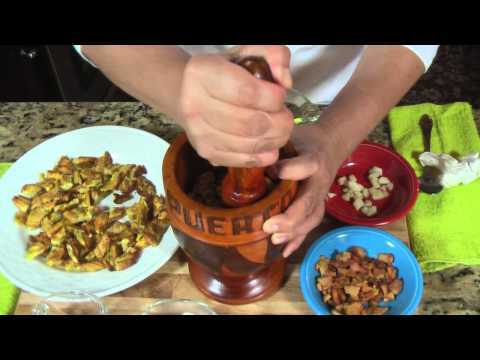 Here;s the link to make the stewed pork: https://youtu.be/IvRQ1urDr5o Here's the link to make Achiote oil: https://youtu.be/_qUmvZgp164 Buen Provecho! Subscribe to my channel! It's free and you will never miss an episode! Click here to subscribe: https://www.youtube.com/user/sweetsandbeyond?sub_confirmation=1 You can follow me on Facebook https://www.facebook.com/SweetsandBeyond or Instagram http://instagram.com/sweetsandbeyondfl ****Mailing Address**** P.O Box 721534 Orlando, FL 32872-1534 Produced by Sweetsandbeyond ©2016 All rights reserved. All embeds must live link to Sweets and Beyond's channel. No Editorial Excerpts without permission, Violators agree to pay $5,000 per second + $10 per view + all collections & lawyers fees. 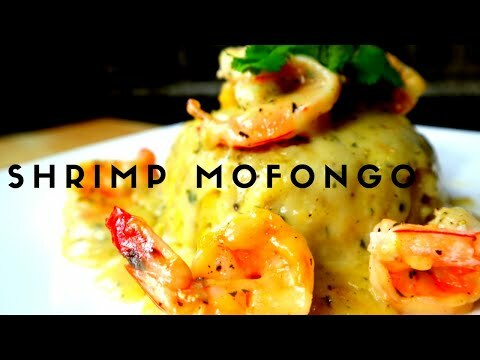 Mortar / Pilon: https://amzn.to/2EbLzUO Garlic Shrimp Mofongo Recipe: Serving: 1 person 2 Green Plantains Frying oil 2 garlic cloves, minced Salt and pepper to taste 8 large jumbo shrimp 1 tsb of cornstarch 1/2 cup of chicken stock 1 tbs of butter 1 packet of garlic and herb sauce mix, prepared as directed on the packet Directions: 1 Fry cut plantains in medium high heat, until gold brown 2 In a mortar add butter, garlic and pepper to taste 3 mash plantain for about 30 seconds 4 add chicken stock, continue to match 5 match until nice and soft and a consistent texture 6 place in a bowl 7 on a hot skillet, sprinkle olive oil 8 season the shrimp with a sprinkle of salt and pepper 9 add shrimp to hot skillet and cook for 3 minutes 10 add garlic and herbs sauce, add cornstarch to thicken sauce 11 serve and eat while still hot 12 enjoy ! Hi and welcome back! Today I made for you my version of Alcapurrias or root vegetable fritters! Here are the ingredients: 5 hard green bananas 2 yautias(taro root) (1 1/2 lbs) 1 green plantain 2 teaspoons salt 1 package of Sazon con Achiote y Culantro(Knorr or Goya) or 1 teaspoon of home made sazon. 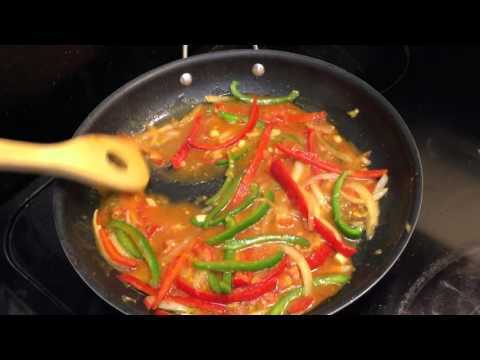 Here's a link to make your own sazon: https://youtu.be/vNwXucpzrBI Canola oil for frying Here's how to make the picadillo: https://youtu.be/yLIOIzKUj0M Buen Provecho! You can follow me on Facebook https://www.facebook.com/SweetsandBeyond or Instagram http://instagram.com/sweetsandbeyondfl ****Mailing Address**** P.O Box 721534 Orlando, FL 32872-1534 Produced by Sweetsandbeyond ©2015 All rights reserved. All embeds must live link to Sweets and Beyond's channel. No Editorial Excerpts without permission, Violators agree to pay $5,000 per second + $10 per view + all collections & lawyers fees. Welcome back to my channel! 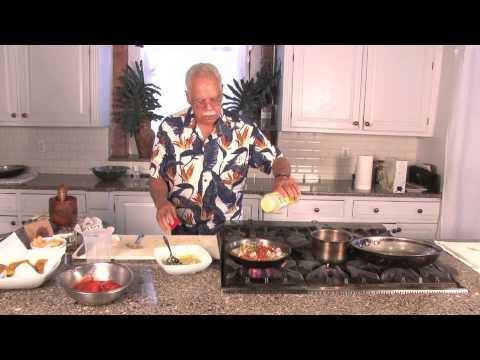 This is my second video in a series of authentic Puerto Rican dishes that I will be posting. 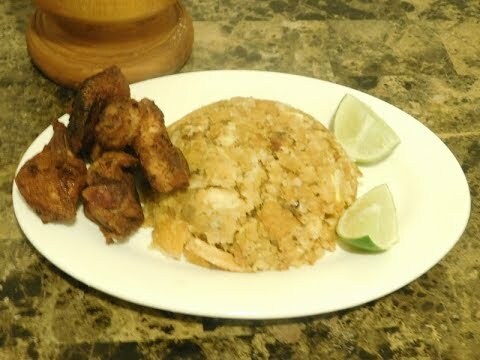 In this video we make Carne Frita with Arroz con Habichuelas ( fried pork chunks with Rice and beans) . Rice and beans is a staple in our cooking. This is an easy week night meal that anyone can make. Please leave your comments and questions below, LIKE & SUBSCRIBE. Please leave any suggestions of what you would like to be prepared for future videos. Thanks for watching & BUEN PROVECHO! 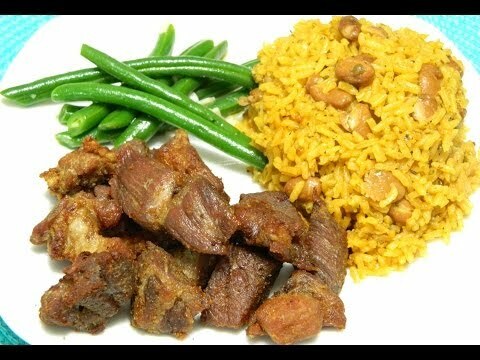 The ingredients for the rice and beans: 2 cups long grain rice Salt to taste 2 tablespoons or 2 cubes of sofrito Cumin Oregano 1 can (16 oz) small red beans Canola oil 1 package Sazon Knorr Water For the fried pork chunks: 2 lbs pork, cubed (I used cubed pork for stew) Adobo Goya Meat tenderizer without seasoning Canola oil Buen Provecho! You can follow me on Facebook https://www.facebook.com/SweetsandBeyond or Instagram http://instagram.com/sweetsandbeyondfl ****Mailing Address**** P.O Box 721534 Orlando, FL 32872-1534 Produced by Sweetsandbeyond ©2013 all rights reserved All embeds must live link to Sweets and Beyond's channel. No Editorial Excerpts without permission, Violators agree to pay $5,000 per second + $10 per view + all collections & lawyers fees.